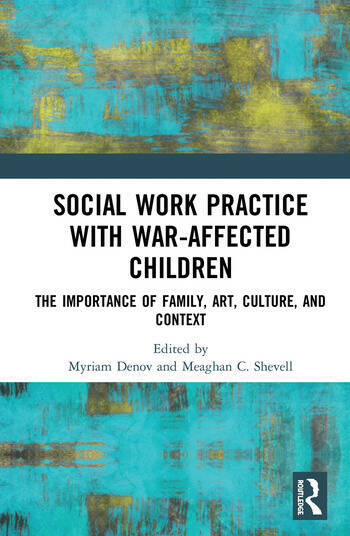 This book explains the effects of war and armed conflict on individual children and their family system, and how culturally responsive social work practice should take into account the diversity and heterogeneity of their needs and lived experiences. Unpacking social work practice with children and families affected by war and migration, the volume provides a valuable toolkit for practitioners, educators, researchers, and service-providers that work with war-affected populations around the globe. The contributions suggest that fostering a family approach, allotting careful attention to context and culture, and linking the arts and participation with social work practice, can all be vital to enhancing the research, education, and practice around working with children and families affected by armed conflict. Providing a critical reflection of social work education and practice, this book will be of interest to practitioners in the field of social work, as well as researchers studying the social effects of migration. This book was originally published as a special issue of the Journal of Family Social Work. 1. Intergenerational resilience in families affected by war, displacement, and migration: "It runs in the family"
Myriam Denov is Full Professor of Social Work at McGill University, Canada, and holds the Canada Research Chair in Youth, Gender and Armed Conflict. Her research is dedicated to children and families affected by war, migration, and their intergenerational effects. She is the author of Child Soldiers: Sierra Leone's Revolutionary United Front (2010), and co-editor of Children Affected by Armed Conflict: Theory, Method and Practice (2017, with Bree Akesson). Meaghan C. Shevell holds a BA in Anthropology and Psychology from McGill University, Canada, and an MA in Human Rights Studies from Columbia University, USA, where she specialized in children’s rights in conflict settings.